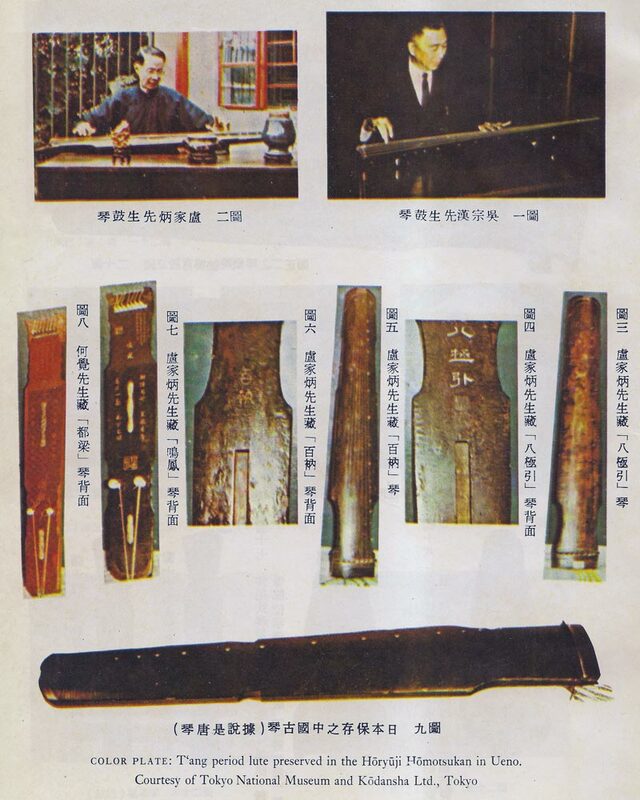 Tong Kin-Woon compiled Qin Fu in Taiwan based mainly on materials available to him locally; some were brought from the mainland, some were preserved only in Taiwan. He published it in 1971 then reprinted it in 1981. Qin Fu includes two handbooks missing from the 30-Volume Qinqu Jicheng: Longhu Qinpu and Jinyu Qin Kan. The pagination in Qin Fu is somewhat confusing, in part because of the location of the general end notes, in part because for three essays at the end of entry 15 (i.e., pp.2017-1991, 1990-1983 and 2044-2018) and for entries 16 to 20 the pages are numbered left to right; everything else is numbered right to left. This seems to be the only color plate in the book. My personal edition of Qin Fu divides Volume 2 in half; in commentary I generally refer to them as 2A (with what here are called Sections 13-15 ) and 2B (Sections 16-20). The CD Lost Sounds of the Tao has one melody with only an English title, Murmuring in the Boudoir. I have not been able to find comparable tablature in the handbook above, so perhaps it is one of these 10 pieces.